6 days | From 9450RMB/pers. Guizhou is a province located in the southwest of China. It is famous for the various minorities. 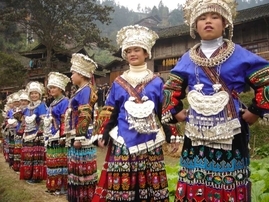 Minority groups are more than 15 and include Yao, Miao, and Dong. During those 6 days trip you will have the opportunity to visit villages like Shuitouzhai, Kaili, Xijiang, also see the Hangguoshu waterfalls, and enjoy the nice scenery. This morning fly to Guiyang. Upon arrival you will drive north to explore the Buyi’s country in the village of Shuitouzhai, along the Qinglong River. You will discover the old windmills and the village’s timbered houses. 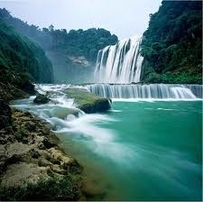 Then you will visit the gorges of Xianghuoyan, walk through the narrow cliffs, discovering caves and waterfalls. Spend the night in Shuitouzhai in a small hotel located along the river. 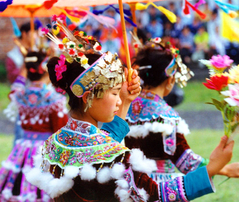 On your way to Duyun, discover the region of Gaozhai where you can find the Miao small flowers. Expert women in batik wear every day their jackets embroidered with small flowers. During the market days their ornaments are a festival of colors. Landscape of paddy fields mixed with corn fields mark out the road. Spend the night in Duyun. Today you will go to Libo, an area with some beautiful karstic landscapes, which are nowadays World Heritage of Humanity by UNESCO. You will take a walk into the karstic forests. Discovery of the white pants’ Yao minority. This morning you will go to the autonomous Shui district (established in 1957), water people living on the headwaters of the Duliu river in the south of Miaoling Mounts. 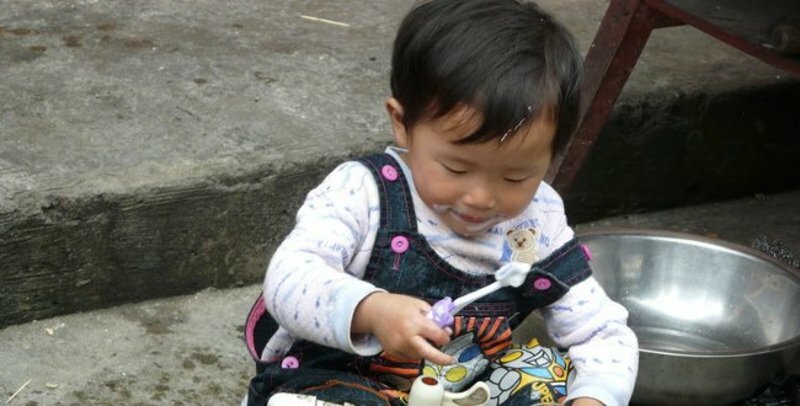 You will take a walk into the village of Shui Dabian, a large community where 400 families live, then visit the village of Miao & Qingman Shiqiao. Overnight in Kaili. 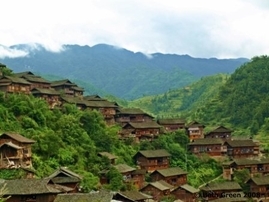 After breakfast you will visit some villages of ethnic minorities around Kaili, as Matang, which includes an ethnic, the Geija, close to the Miao, who represents a small group of 15,000 people. The Gejia are known for their clothes which look like the costume of a warrior and also for their wonderful work. 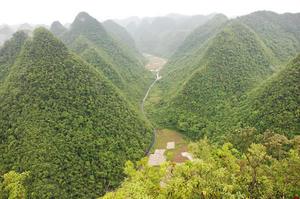 Then you will drive to the village of Xijiang River, populated by 1,000 households, located in a valley at the foot of the Mountain Leigong so-called the "Thunder Mountain" surrounded by paddy fields. The Miao (also called Hmong) means "uncooked rice" and refers for quite a long time to nomads poorly integrated. Walk during one hour and a half from the village of Xijiang to Kaiju. Spend the night in Xijiang in a new boutique hotel. This morning drive back to Guiyang, then go to Guiyang Airport in order to fly back to Beijing.